Today is Sunday, 23 October 2016 and we are back in Panama. Today I am shooting the Simply Natural organic Plantation once again. I last was there in March of this year, only eight months ago and I am curious to see what changes are in place. The one thing that is constant about this organization is that they are always moving forward. This time I am shooting for Simply Natural Investments. 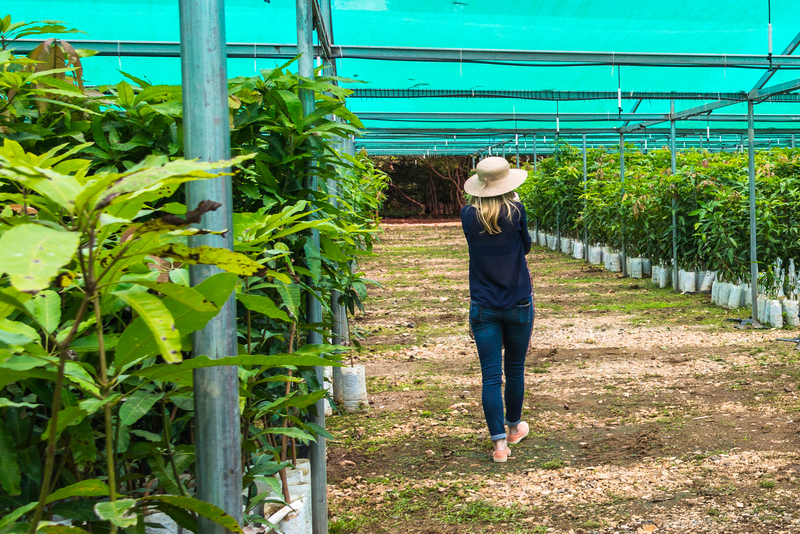 When we first found out about this opportunity to buy into an Organic Mango Plantation, there were only a couple of hundred hectares available to investors. The whole plantation was only 525 hectares when we started. 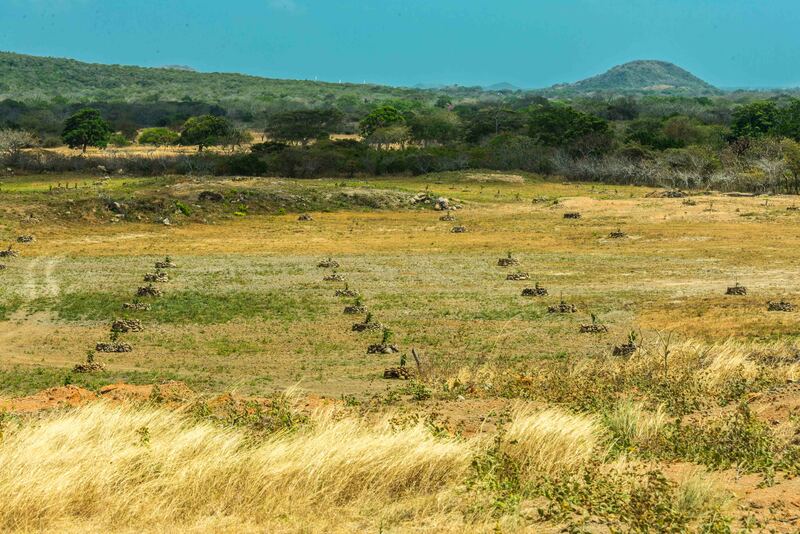 In March of this year, this had grown to about 1,800 hectares in Panama. 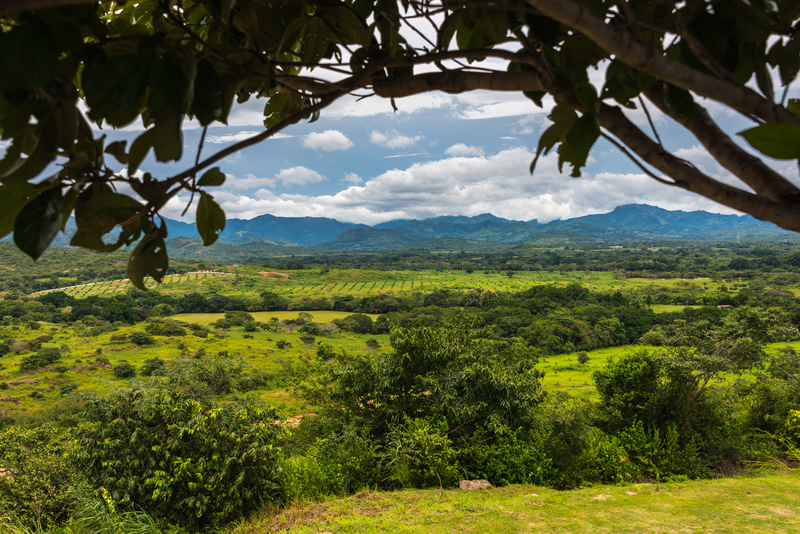 The largest organic plantation in Panama is around 2,200 hectares. 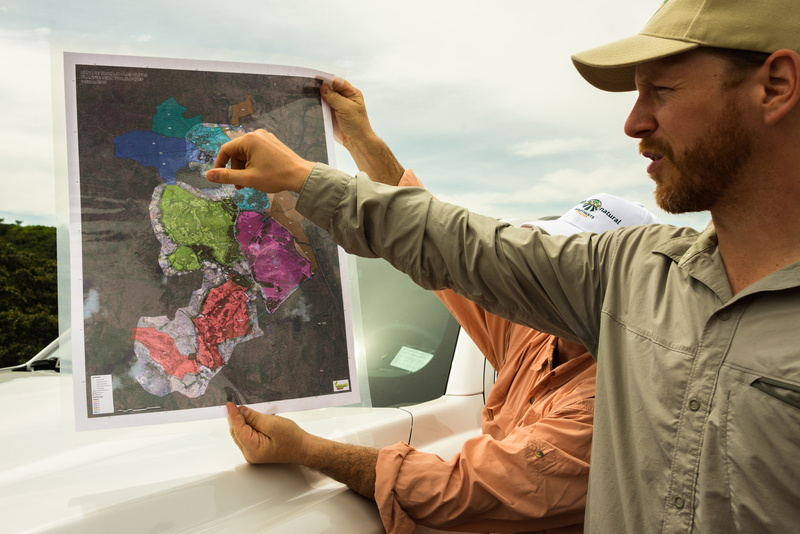 Today, the Simply Natural footprint covers almost 4,000 hectares in six countries. After our three-hour westbound bus ride over the Interamerican Highway, we arrived at the plantation site in an agricultural area just a few minutes west of Penonome, the geographic center of Panama. On arrival, once again, I am surprised by the growth progress of the trees, both Mango and Neem, even since March. The tour covered familiar ground. As in other tours, investors listened intently to the explanations of what they were seeing and asked many questions. Here are three shots, from a similar angle, of the plantation in March of 2015, March 2016, and October 2016. While we were primarily interested in the Lady Victoria Mango, note that there are other Organic fruits being produced by Simply Natural at this site. 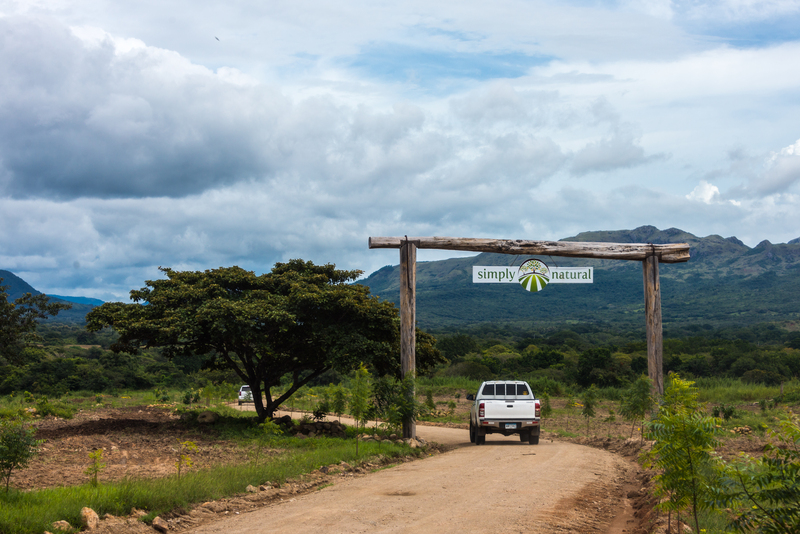 When we arrived at the newly expanded on site nursery, we found that there were around 500,000 plants in the facility. This is a substantial increase since our last visit in March. All the fruit trees are grafted and spend around 18 months in the nursery, where they are fed and tended to more efficiently than if they were planted directly in their permanent locations. We received an example of how grafting is performed. Here are some shots of the grafting process. Mango trees need around 50 feet of space between them. As a result, there is lots of room to grow other complementary products. This intercropping contributes specific nutrients to the soil that the Mangos need . Choice of the intercropping plants is based on many things, like the size of the plant compared to the current size of the Mangos. As the Mangos get larger, intercropping uses materials that are larger as well. We saw intercropping in place using Plantains, a relative of the Banana. As this plantation matures, its beauty grows. Our investment was in February of 2015 and we will be expecting our first payment, for intercrop sales, in January of 2017. As you can see from the blog entries, our investment is in Mangos, not avocados. Our first payment is due next January. Having visited the site numerous times I can tell you that all the different products are in the same general area and from what I can see progressing nicely. I have referred your question to the Vice President of Business Development at Simply Natural. You should hear from her within the next few days. I found your blog while doing due diligence on the Simply Natural brand; I met with the CEO today and was impressed with his knowledge of the business, the scale of the operation, and total lack of pressure to buy in. Since I may not get an opportunity to go tour the plantations while I am in Panama, your photo blog is invaluable! Like Tom, I am interested in investing with them, but before doing so am looking for early investors willing to share their experiences, especially in terms of returns. In this blog you state you expect your first payment in January 2017, but your reply to Tom says you expect your first payment “next” January (2018?). Can you clarify which it is?If 2017, have you been paid as expected? Thank you for sharing this experience with us in such detail! Thanks for the feedback. The correct date for our first payment is January 2018. The 2017 date was in error. I do know that payments were processed early this year based on a conversation with Simply Natural. Yes, we got our title last November. It was delayed some but by us. Instead of doing the paperwork here in Canada, we waited until we were back in Panama. The whole thing was done in a short meeting at their office. You should make a point of seeing the property, if you have not already. It sells itself. Hi Keith/Julie. Re due diligence. The CEO’s prior track record is in the avocado and mango brochures. Googling one of his previous senior assignments/touted achievements with Laurus Capital Management, I found an “interesting” article at Forbes.com titled “Hedge Fund Shuffle”. Let me know your thoughts on this. I can’t comment on this as I do not know the details, other than what was stated in the article. It was not enough to deter me. Take a Plantation Tour. This guy is passionate about his company, product, and future. due diligence should I do for this. Thanks. Keith, Thank you for making these posts on this blog. One of the issues I came across about the cost of management starting year 4. It says that Farm management will take 2.5k out of the harvest and starting thereafter 5k each year. The rest of the harvest sale profit will be divided 30 percent to the farm management and 70% to the investors. The cost of farm management over the period of the 10 years -comes down to 50k( 17.5 k down for land development and planting, 2.5 k year 3.5 then from 4 to 10 years 5k each total=50k) This cost seems excessive to me. With this kind of concern, I would recommend you contact Simply Natural and try to visit the site. This is an unusual investment and as a result may have some numbers that do not equate to comparable investments in North America. Hi Keith, I am wondering if you have had a Panamanian attorney do a background check on Simply Natural? I have family who invested last year, they had an attorney give them nothing but positive feedback about Simply Natural. Saying they have been around for some time and are a very reputable company. After visiting the farms myself I feel that is a worthwhile investment and trustworthy company to invest in. However, there has been a recent post on the Facebook page we both follow (Alternative Investments) explaining that a Panamanian attonery felt Simply Natural has questionable background/connections. I was ready to take the last step to make this investment final, but reading this has made me nervous. Also, it looks like you have been back to visit the farms a few times since purchasing, have you been able to see your personal hectares in person with trees planted and thriving? No, I didn’t have a lawyer do a background check. Consider the negative post on Facebook… I don’t believe this single negative post. Some people seem to only be able to see the bad in things and then do whatever they can to make sure everyone else joins their point of view. My experience has been different and I am satisfied, for myself, that I made a good decision. Why is it out of all the people they claim they have sold lots to that there is only on person who has invested it this and is involved in this link. I had looked at this investment and requested the name of 10 investors with contact details so I could speak to them. The company did not really want to give me the information I requested. If everyone is so happy I would think this should not be a problem. On different investments I have done I am more than happy to act as a reference for the people I did the investment with to other people. They provided me with one persons number and when I tried to call the number it was disconnected. I would strongly recommend they provide you with a list of at lease ten investors with contact details that you could speak to personally. 1. How many Hectares of land do you currently have producing avocados? 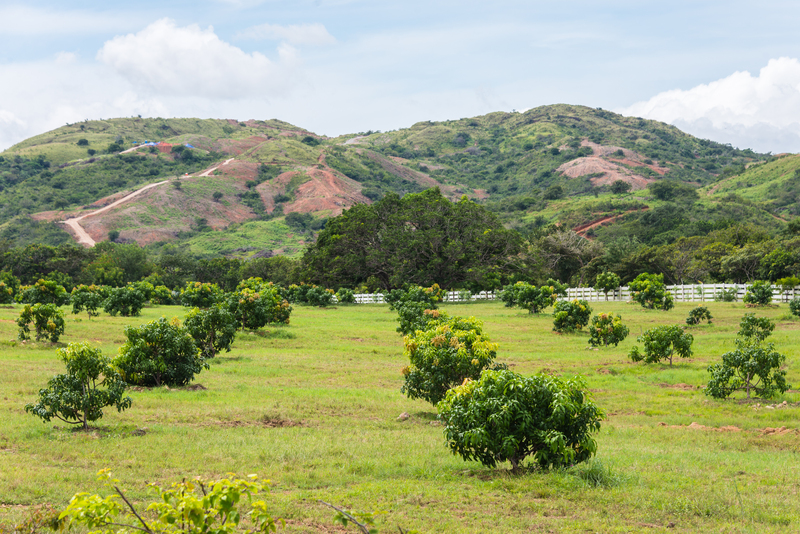 The avocado plantation is 670 hectares in total and work started June of last year. There is no avocado production yet as it take 4 years for the trees to produce the first commercial harvest. The earlier mango and lime offerings were the same so the early investors who bought into those offerings back in 2013 will get their first fruit crop returns January 2017. Those clients were just paid their intercrop returns in January this year their payouts were higher than originally projected. 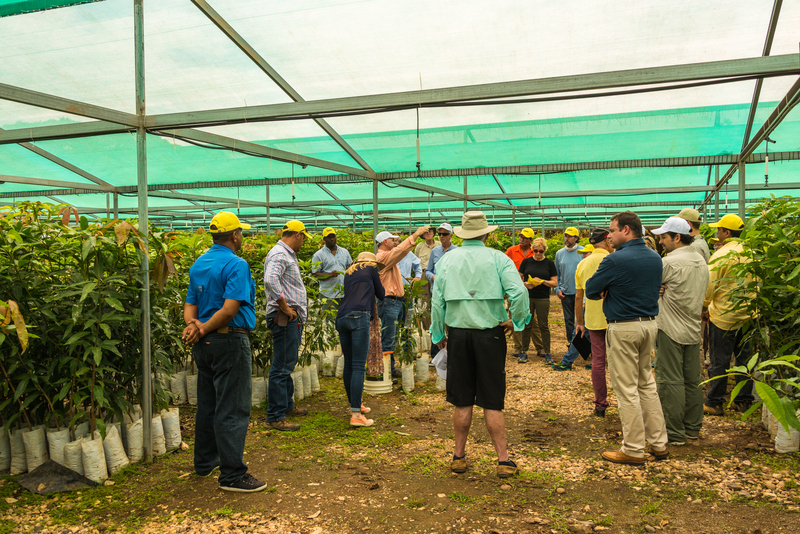 To date Simply Natural have already sold and implemented over 2300 hectares of mango and lime and guava at the plantation in Cocle since the project launched in 2013. 2. How many investors do you currently have? As I would want to check references of the investment with people who have had as investors for at least 4 years and are seeing a return on the investment. Simply Natural have over 700 investors/partners right now in the project including the mango/lime/guava/avocados. I bought my Mango Hectare through an organization called Live and Invest Overseas, who were actively selling this product after their due diligence. You could also purchase directly from Simply Natural. I am pleased with the progress of this investment and am due for my first intercrop payment early next year. I understand that the first year buyers received their first intercrop cheque in January 2017. Maybe you should contact Live and Invest Overseas and see if they will give you references. Did your mango investment pay as expected? I am thinking of investing, just can’t pull the trigger. It has been great reading your posts on your farm investment. I was wondering if there has been any update on the Feb 2018 expected payment? Have you found anything else to invest in Latin America besides your own house? p.s the bird life looks great from your photos. Yes, we have received our first intercrop payment, right on schedule. I will be updating the blog in the next few days with information about our 24 February visit. The birds are cool. They are all waiting on their daily banana, which we serve at 6:45 AM. We have a new fence around our deck, it is stainless steel wire and there are 6 rows of wire, which the birds all use! Did you receive your first payment yet? Also, just curious if you made it back to the plantation and have any updates. I appreciate it! Yes, we have received our first payment. Last year was the first payment year for the early adopters. I will be doing a blog on our visit on 24 February, so just wait for it! I read your blog and comments above with great interest. I looked into Simply Natural Investments fro some time before taking the plunge in May this year (2018) into the lime trees as there were no mango hectares available at the time – obviously it is an investment with a long term view but it is very reassuring to read that you have already received your first payment for the inter-cropping. Also relieved to read that you have your title – Simply Investments are up front about this taking a long time but when you have invested so much money you don’t feel that you have any security until the title comes through. Thanks for the comments. SNI continues to be a fascinating investment. It amazes me how many people here are expecting the world without any risk. Everything has risk and I just hope that we have read the risk correctly. I just wanted to thank you for your blog. It helped me in making my decision to take the plunge with SNI (Sept 2017). I am interested to know if you have received your 2019 payment yet? Also I have been unable to locate your blog about your visit on February 24 2018, can you please respond with a link for it? Feel free to reach out to me directly though email. Thanks for your kind comments. Our yearly trip to Panama got a bit behind last year and the blog about our farm visit never actually got posted. Sorry! Having said that, we did visit the farm again last month and saw amazing progress. They have what I believe is the largest greenhouse in Central America, 10 acres under cover! All the nursery products are within this structure as well as new products that are being grown, like melons and mini cucumbers. Our mango density is being increased as intercropping is replaced with additional trees, without cost to us! This will also increase our revenue. You asked about our payment for 2019. That payment was received early this month. It is actually for 2018’s production. Hope this answers all your questions. If you have more, feel free to email me directly.